My creation this time is not ordinary Taiyaki, which are traditionally snapper-shaped cakes filled with sweet bean paste, but our original Koiyaki . 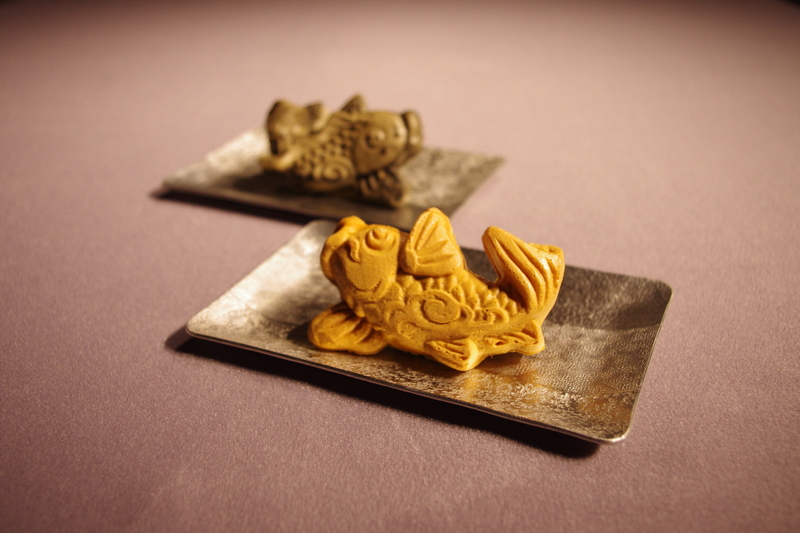 Until not too long ago, in the mountains of Nagano, king of the river fish, Koi (carp) was eaten on auspicious occasions. I designed our Koiyaki using the figure of the auspicious Koi. The size of our Koiyaki is smaller than regular Taiyaki—this way, they are easier to eat. Using traditional Japanese patterns crafted by Buddha sculptor Kouichi Yoshikawa, I worked with Komatsu Igata Seisakujyo to make special iron molds to form the unique shape and markings of the cakes. 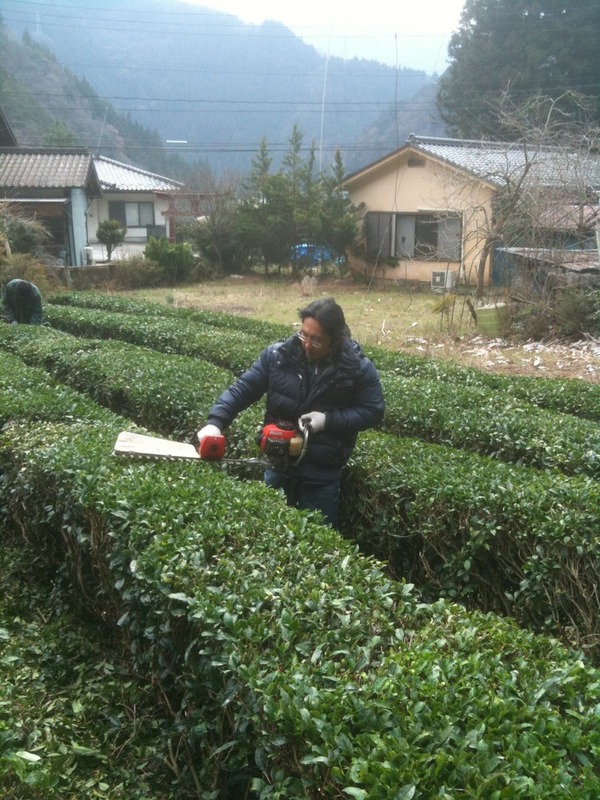 Shinsu Nagano, Kyoto…selecting only the finest macha leaves from all over Japan, we offer about 10 varieties of macha. Please enjoy and taste all of our flavours in our humble tea room. Sugar coated flower petals of Tsuyukusa. 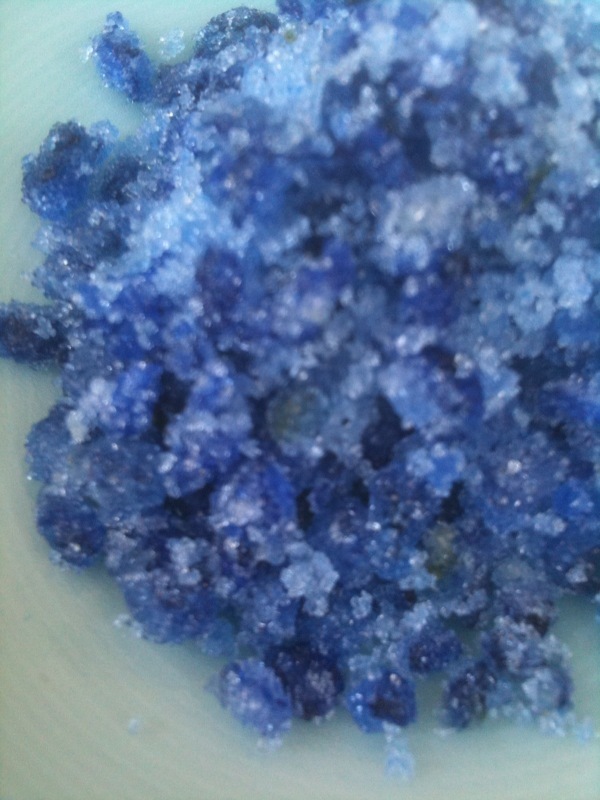 This lapis lazuli blue sugar is crafted by our original technique. 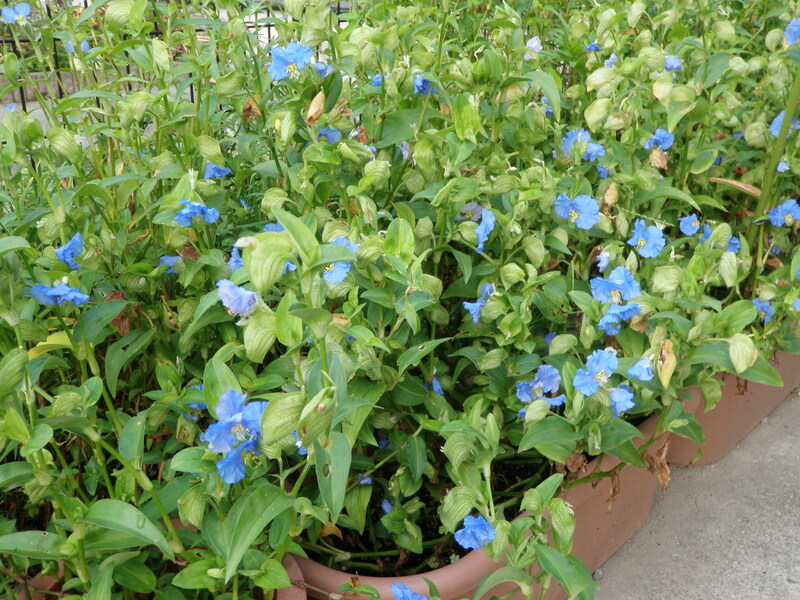 Since 2012, we continue to produce Tsuyukusa in the mountains of Rokko, Kyoto.